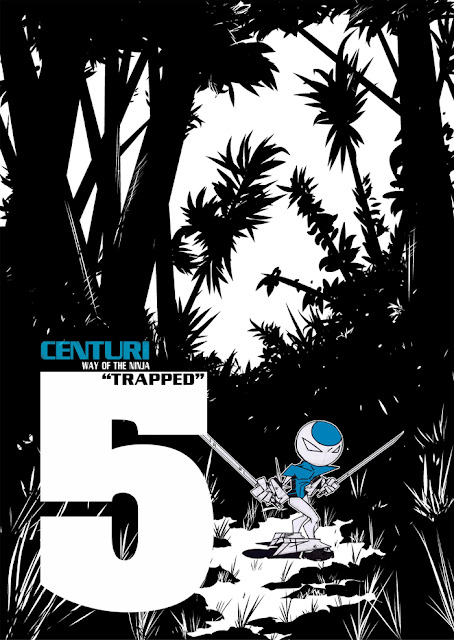 A new chapter of CENTURI Way of the Ninja webcomic starts on Wednesday. I have started used Manga Studio alot of the backgrounds on this chapter, which is exciting for me. Finally I am using the program for what it should be used for. In this chapter Centuri will face people from his past that will shed light on his origins and of coruse battle crazy villians in the high energy fighting webcomic. Here is a look at the chapters' title page. Hope look check out the webcomic which still is keeping it's Monday-Wednesday-Friday schedule. And remember I will be at Emerald City Comic Con in the Artist Alley, Table N-08, on March 30, 31 and April 1st.